‘Undulating contours, interesting views, well worth a visit’ is what Algarve Golf & Property Magazine has to say about Castro Marim Golfe & Country Club. The variety provided by the three nine hole courses – The Guadiana, The Atlantic and The Grouse – means you’ll never get tired of playing golf here. It’s fair to say that all of the 27 golf holes are memorable. In fact, the fourth hole on the Atlantic Course features in the book ‘1001 Golf Holes you must play before you die’, edited by Jeff Barr. The courses, with their Bermuda grass fairways, are always in good condition and buggies are allowed on the fairways. 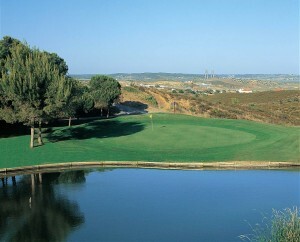 Designed by Bristol-based Terry Murray around ten years ago, The Guadiana and Atlantico courses are the most mature of the three courses, with attractive pine trees lining the fairways. The courses are teeming with wildlife, especially partridge in the winter months. 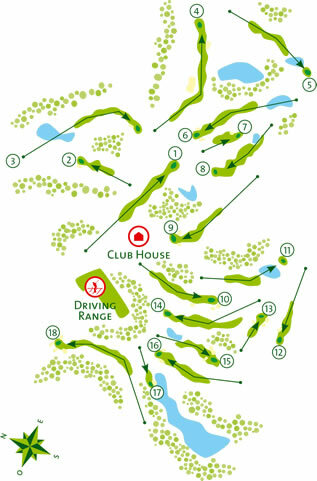 Fast and true greens, several of them elevated and protected by bunkers, inviting elevated tees and dogleg fairways carved out of canyons are features of the courses.